On Tuesday, May 9, 2017, President Donald Trump fired FBI Director James Comey. The president sent a letter to Comey saying that while he appreciates him informing him on three occasions that there was no investigation on Trump himself, he has to agree with the DOJ, that his handling of the investigation into Hillary Clinton’s use of a private server has made him unfit to lead the FBI. During the campaign Trump sang a different tune about how Comey handled the case into Clinton’s email server. He called the former director “Gutsy,” for pursuing the case. The president’s action today is remarkably similar to President Richard Nixon when he terminated the office of Archibald Cox, the special Watergate prosecutor, in order to prevent Cox from receiving audio tapes which implicated Nixon in the cover-up of the Watergate break-in 1972. There were five members of Nixon’s staff caught planting ‘Bugs,’ which are recording devices, in the Democratic National Headquarters, the Watergate building. Comey, who has only finished a third of his 10-year term as the director of the FBI, learned about his firing through media reports. 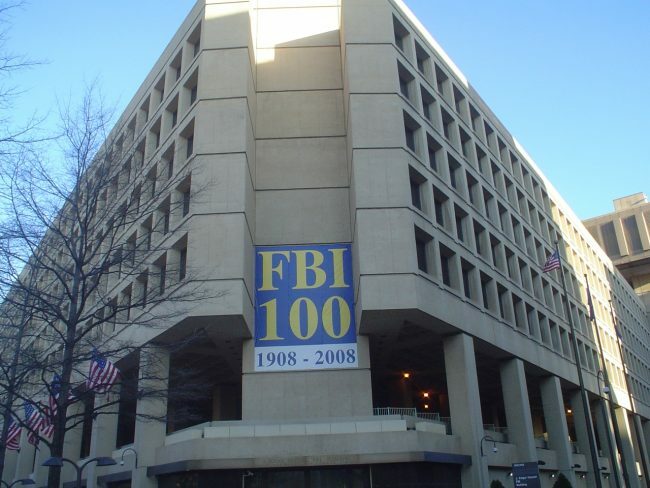 He was speaking to other bureau employees at the time, in front of a large television screen, when news of his firing started airing, following the delivery of the letter at the Washington D.C. FBI headquarters. One Response to "Donald Trump to James Comey ‘You Are Fired’"